Following the encouraging reports about reduced unemployment in the US, dollar gained further strength. Therefore, international gold market remained subdued. Its impact has also been felt in India. Hyderabad : Following the encouraging reports about reduced unemployment in the US, dollar gained further strength. Therefore, international gold market remained subdued. Its impact has also been felt in India. The gold prices declined further notwithstanding the expected buoyancy during fast approaching Dhanteras and Diwali festivals. Despite lower prices there is no glitter in the gold market at least until Saturday. Traders are, however, optimistic as they feel that the market would zoom in from November 9, the day of Dhanteras festival. Still, going by the experience of Dasara festival when the demand for gold ornament was just about 60 per cent of the normal times, experts are of the view that this year Dhanteras and Diwali festivals would remain lackluster. The middleclass traditional buyers seem to have switched over their preference for the light weight gold ornaments of one to two grams. The market also seems to have sensed the changed mood of the buyers which is evident from the huge stocks of light weight gold ornaments with latest designs staked by the jewellery shops. 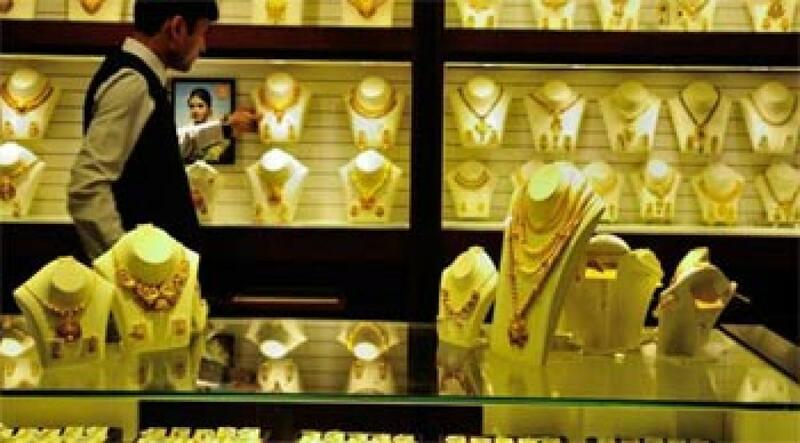 Another irritant to the retail sale of gold jewellery has been the government’s intervention. The timings of the announcement of three gold-schemes raises doubts about the true intention of the government. The going seems to be tough for the private sector gold jewellery traders, both the big ones as well as the small ones. During the week both the precious metals declined considerably. On the closing day, standard gold closed lower by Rs 750 (per 10 gms). Similarly, Silver (0.999) too, closed lower by Rs 1,300 (per kg). Standard gold (24 carats) closed at Rs 26,020 (per 10 gms) vis-à-vis Rs 26,760 in the last week.